ANAHEIM — Taiko Center of Los Angeles will perform on Friday, July 19, at 6:30 p.m. at Pearson Park Amphitheatre, 401 N. Lemon St., Anaheim, as part of the 2013 Summer Nights Under the Stars Family Series. TCLA was founded in 1996 by Rev. Shuichi Thomas Kurai, who has been performing and teaching taiko since 1975. 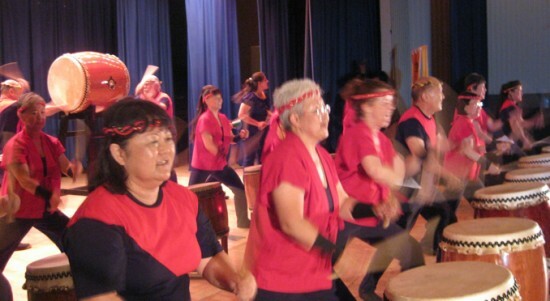 It includes Satori Daiko (Drums of Enlightenment) and the Taiko Center of L.A. Ensemble. Currently there are 16 performing members and another 60 students studying in TCLA classes. Satori Daiko released a CD, “Kyokusen” (Flowing Path), in 2003. The recording is an eclectic mix of taiko drumming with Japanese traditional instruments such as koto, shamisen and yokobue with touches of world music — Brazilian samba, Indonesian gamelan and even jazz tap dance. TCLA collaborates regularly with other artists, including former Kodo members Shuichi Hidano, a taiko soloist, and Hiroyuki Hayashida, leader of the Japan-based taiko ensemble Zipang. • Yukiko Matsuyama, an international recording artist who bridges eras and cultures. 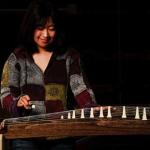 From performing with Shakira at the Latin Grammy Awards and recording with Paul Winter on his Grammy Award-winning album “Miho: Journey to the Mountain” (Best New Age Album), to performing with Motown legend James Gadson, she shares the sound of the Japanese koto with diverse audiences worldwide. 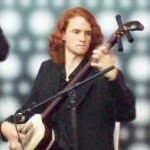 • Mike Penny, who competed in the annual Kanagi Tsugaru Shamisen Competition in northern Japan within two years of picking up the instrument and received the “nyuusho” or “runner-up” award in his class out of a field of 200, an honor never before bestowed on a non-Japanese player. He is a member of such groups as Shamalamacord, Monsters of Shamisen, and Fishtank Ensemble. • The Little Dance World was formally established in Hacienda Heights in 1999 to provide nurturing schooling while fostering creativity. Jennifer Tai’s students, ages 3 and above, have performed at Chinese New Year celebrations throughout the area and participated in educational exchanges with a theatrical institute in Taiwan. The Little Dance World has been providing classes such as Chinese folk dance, jazz, ballet, hip-hop, tap, and tumbling. Admission is $3 general, free for children 8 and under. For more information about the series or to purchase tickets, call (714) 765-5274 or visit www.anaheim.net/pearsontheatre.